Your dealership can have more than one location. Each of your equipment can be associated with each location. This setting will help your buyers to search for equipment based on local area. 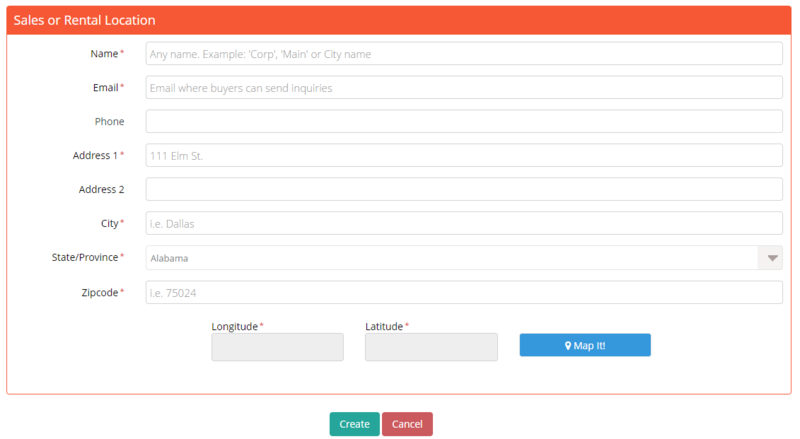 Longitude and Latitude are automatically generated for you as you entering your address. If you need to adjust your map location, click on on “Map It” button. You can drag your map pinpoint to any location as you wish. Click “Create” button to save your location.